In collaboration with HBO and Game of Thrones, Johnnie Walker has unveiled the new White Walker by Johnnie Walker. 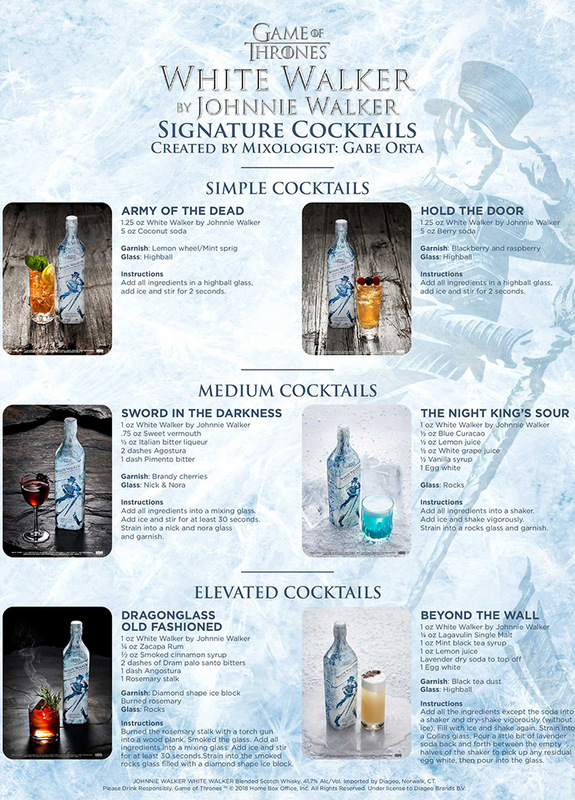 This limited-edition Scotch Whisky is inspired by the most enigmatic and feared characters on the hit show – the White Walkers – and is being released for fans to enjoy as anticipation builds ahead of the final season. 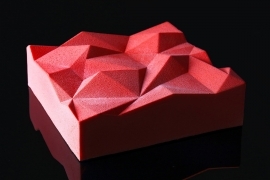 Created by whisky specialist George Harper, alongside the small team of expert blenders at Johnnie Walker, this innovative whisky is best served directly from the freezer, echoing the chilling presence of the White Walkers. 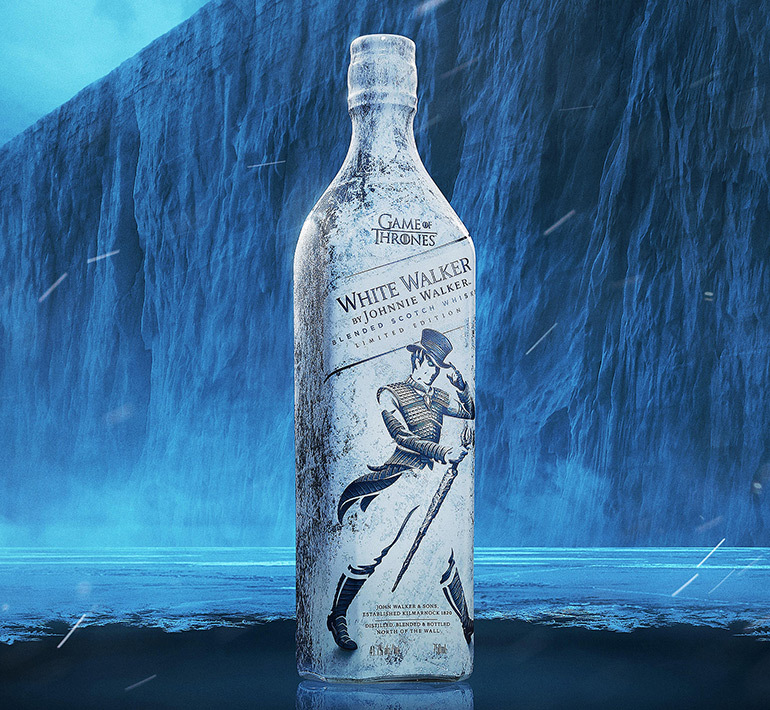 The bottling aims to bring consumers to the Frozen North with an icy white and blue design along with the iconic Johnnie Walker Striding Man now fashioned in armour to fit in among the ranks of the Night King’s forces. Utilising temperature-sensitive ink technology, fans will be reminded that Winter is Here from an unexpected graphic icy reveal on the bottle when frozen.